The team at Talbot Digital took a quick break (alright, more like a lunch hour) from running campaigns to come up with a list of 17 songs that might appear on Donald Trump’s summer playlist. 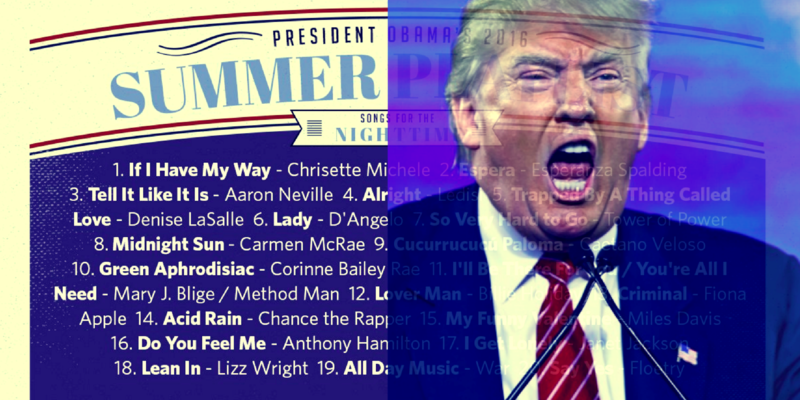 We hope you enjoy listening to the tunes of Trump as much as we did compiling this list—and we hope there will never be a true “President Trump” playlist. Tagged 2016, mo money mo problems, trump.